Packing for a road trip can be a nightmare. If you're anything like me, you always back out of the drive way feeling as though you've left something behind. Usually, I'll forget something small like toothpaste or an extra set of contacts (who needs to see anyways), but I always manage to get the essentials in the back of the truck. 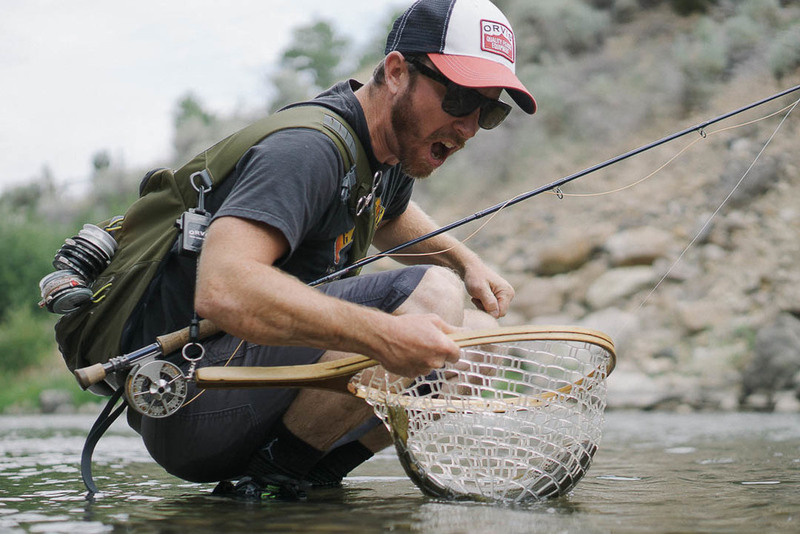 Below are 10 pieces of gear that I can't live without on a fly fishing road trip. I'm a bit of a gear junkie, so you can always substitute the items I've listed for ones that fit your taste more appropriately. 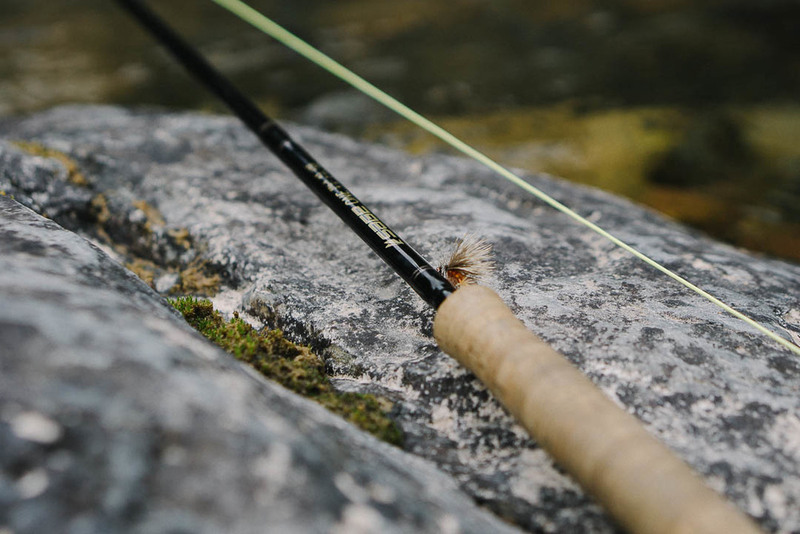 This is my go-to, all-around rod. However, it works best for throwing indicator rigs and streamers. It's a stiff mother. When pressed, I can present dry flies on small tippets too. Personally, I bring a back up 5wt and a 4wt on most trips too. This gives me maximum versatility on a wide range of rivers. You don't have to believe all the hype around these coolers, but they really do provide next-level performance for a cooler. My Yeti is always stalked with a good variety of cold beverages to keep me hydrated, caffeinated, and ready to celebrate an epic day on the river. If you take time to cook dinner (I usually just fish instead), there's plenty of room for keeping all your perishables ice cold too. 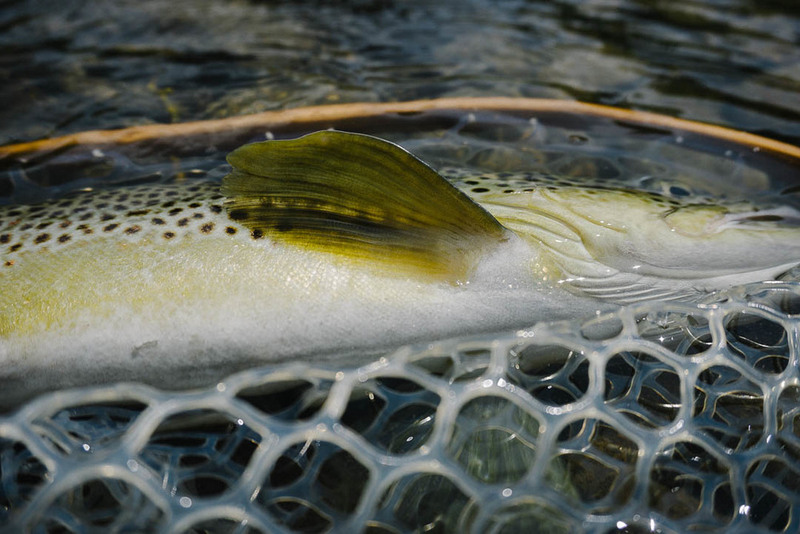 Having a net is essential when you're catching good sized fish. Montana gave me plenty of reason to use my Brodin. Unfortunately, I lost my net a few days into the Ennis leg of the trip. Just before leaving for the Missoula area, I ran into a guy from Pennsylvania who had found my net and he graciously handed it back to me. Serious River Karma for that guy! I picked up a few Causwell T-shirts before leaving for my trip and was stoked that I did. They're a great fit, fantastic high-performance fabric, and they're stylin' too boot. It's nice to feel comfortable on the river and Causwell is doing it right. Their hats a beanies are great too! Next up, I'm going to get some of their long sleeve shirts. Check them out at causwell.com. I'm sure you have a few of these boxes by now. They're amazing! On my trip I had seven of these boxes filled with just about any fly you could think of. I really like the silicone insert and magnetic seal on these boxes. They're durable and hold enough flies for quite a few days on the river. I've had this truck for 15 years and it has a quarter of a million miles on it now. It's been all over the Western United States and it's been my number one way to get to the small streams of the Sierra Nevada and the big rivers of Montana. 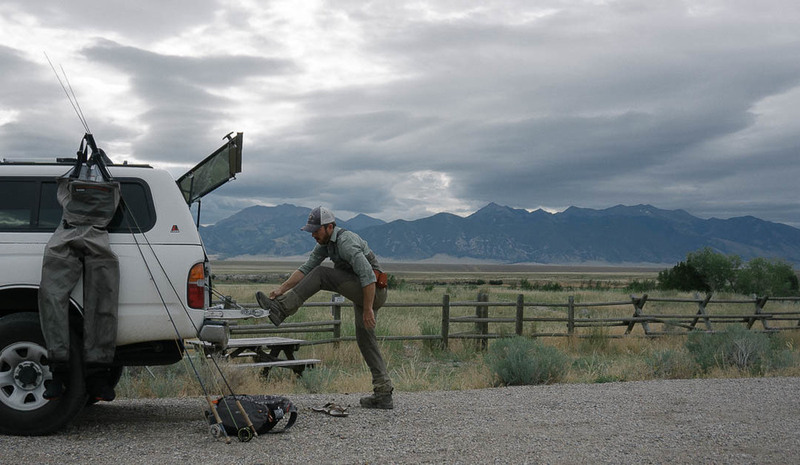 You obviously don't need to have this truck for a fishing trip, but it's been a huge asset to me over the years, definitely one of my essentials. You need a car for a road trip anyways, right? None of my trips are complete without a camera these days. It's a fun way to capture and document the beautiful places trout live and the A6000 is relatively affordable for a high end camera. It's fun taking photos of my friends while their catching great fish and photography is growing interest of mine. As I'm sure many of you know by now, I usually cary way too much when I'm on the river. The Orvis sling pack provides a good comfortable fit with plenty of room for water, a rain jacket, snacks, and a camera. Oh yeah...and about 500 flies. Over the last 5 years I've been wearing a different brand of waders (to go unnamed) and I'd been disappointed with them since they arrived in the mail. I could go on and on about them but nobody wants to hear about that. These Simms waders are amazing though. They fit really well (like a fishermen designed them) and they're bomb proof. My fishing takes me to a lot of places where I'm jumping fences, bush-whacking, and climbing/sliding all over rocks. This Simms gear will stand up to the abuse I put it through! Although my last blog post featured the benefits of fishing alone, it's essential to have a good buddy on a long road trip. 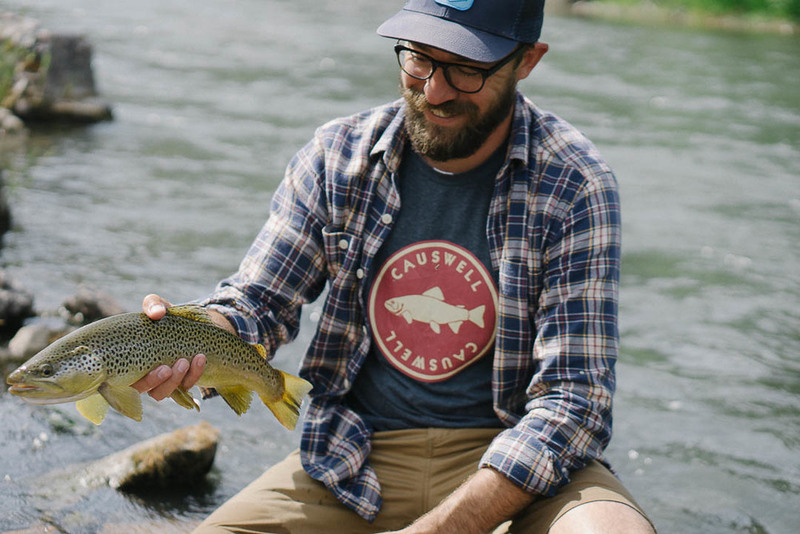 Countless hours in the car, smack talking, laughs, and trading flies all necessitate a good fishing buddy. I've had mine for as long as I've had my truck. We started fishing together while in college (Bass with spinning gear and rubber worms) and haven't stopped fishing together since. Currently, he's living in Wisconsin and I'm in San Francisco, but we've made it a priority to do one of these fly fishing road trips for the past four years. He's got a great wife who gives him a long leash, so that helps too! Polarized Ray Bay Wayfarers - Polarized glasses make sight fishing significantly easier. 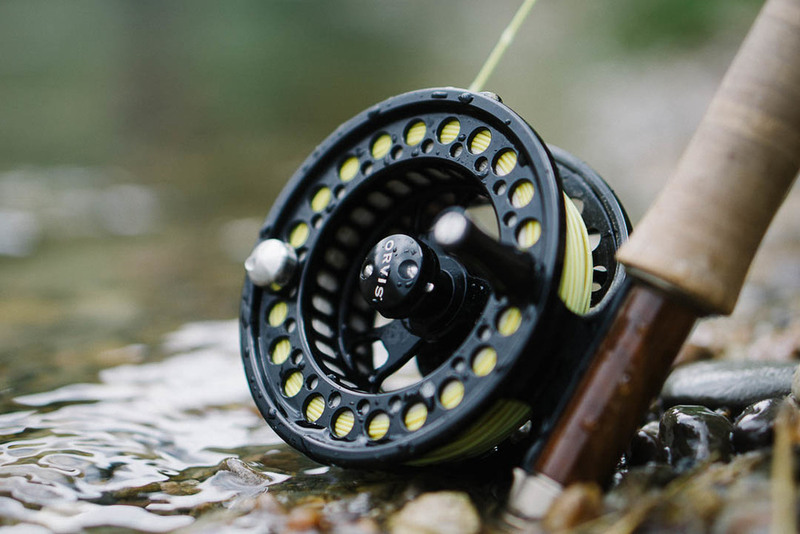 ARC Leaders and Fluorocarbon Tippet - Arguably the most important part of your fishing set up. It's closest to the fish! The Drake - Good reading material is essential on any road trip. ...and when it all comes together, hopefully you get into some of these guys!